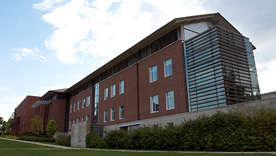 The Center for Foreign Languages, Literatures, and Cultures is the sum of its departments: German and Russian, Romance Languages, Asian Studies, and Comparative Literature and Arabic. Its collective mission is to promote language study to broaden the world in other words, encourage intellectual enrichment to reach beyond disciplinary boundaries, and offer opportunities for cultural discovery both at home and abroad. To this end, the Center sponsors faculty seminars, public lectures, exhibits, performances, and film series that highlight foreign cultures and focus on issues with an international scope. Events are organized for the benefit of the entire Williams College community and some, like field trips, talent shows, and study away presentations, are directed at students and their classes. Every academic year the CFLLC holds a Research Colloquium, at which a colleague presents current research in an informal setting, with ample opportunity for discussion, feedback, and questions. 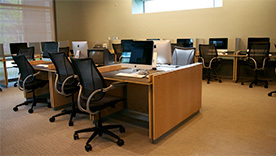 The Center is also an administrative unit that provides a full-range of office services for its faculty. 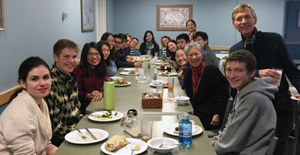 It oversees the Foreign Teaching Associates and Asian Language Fellows, who come to Williams each year to assist in the language classes, and coordinates the Critical Languages Program. At the Center’s quarters in Hollander Hall, students can avail themselves of technology available for foreign language study in the language lab on the first floor, browse through the Center’s specialized collection of foreign language periodicals and reference books on the second floor, and inform themselves of opportunities for using foreign languages during college and beyond (posted on the 2nd floor bulletin boards). Through its programs, resources and faculty, the CFLLC plays a pivotal role in the on-going efforts to internationalize our campus and curriculum, taking Williams to the world and bringing the world to Williams.